Finding the best ninja coffee recipes might save you a ton of money. Coffee is a national addiction: in fact, in 2018, the level of coffee consumption equaled the height of 2012, with 64 percent of adults 18 years or older reporting they had at least a cup in the previous day. For comparison: in the 1990’s only half of Americans reporting drinking coffee on a daily basis. And many Americans, especially millennials, are purchasing gourmet coffee drinks out. While still more Americans make coffee at home, just under half of Millennials reported purchasing a gourmet drink the day before. Why getting coffee out isn’t the best idea: While there is nothing inherently wrong with treating yourself to a gourmet drink every once in a while, it can really add up if you do it on a daily basis. Shawn Carter, a contributor to CNBC, recently pointed to just how much his coffee habit has cost him. 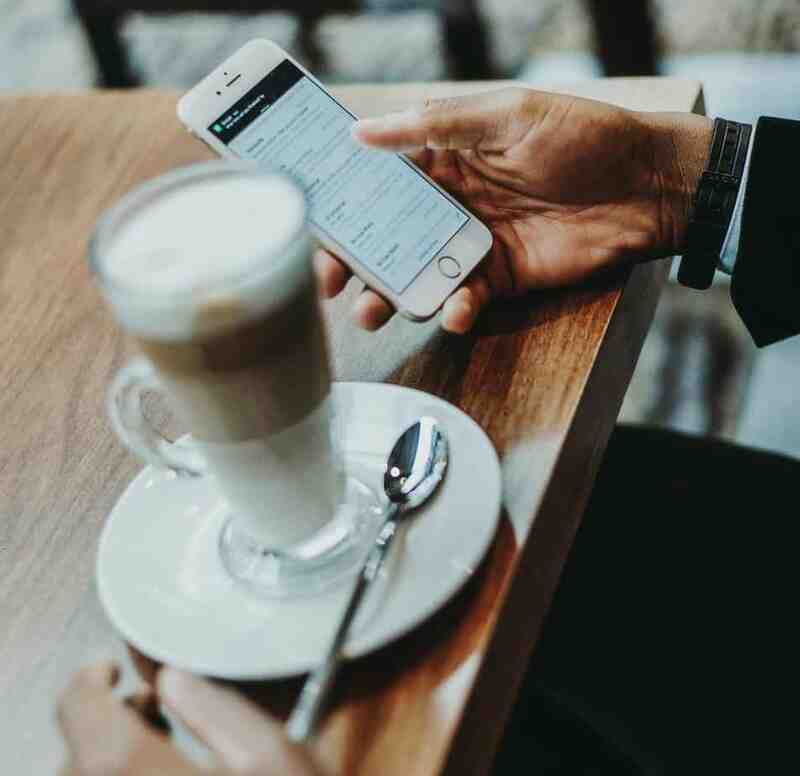 Carter, who still is paying off student loans and has a modest amount of savings in his bank account, decided to track his daily spending this past calendar year, with an eye towards his daily coffee habit. He is a frequenter of Starbucks and regularly orders a grande chai latte with a shot of blonde espresso. His order, from his location, costs just over six dollars with tax. And because he orders it consistently Monday through Friday, every week, that adds up to almost $1,600. With his additional regular order of a croissant three times a week (at around three dollars), his total for the year is an astounding $2,300. He does save with mobile app awards, and he admits, despite the cost, he has no plans of cutting back. What is the Ninja Coffee Bar? Getting coffee out doesn’t also lead to a financial cost. It can affect your health too. While there has been some back and forth debate about coffee itself–namely that it contains acrylamide (but a component that is also found in countless products heated above a certain temperature, including baked goods), coffee does also have health benefits, including possible protection against certain types of dementia, and stroke. And despite the mixed concerns about acrylamide (which can be reduced if you drink at cooler temperatures), coffee also is linked with lower rates of certain types of cancer. It also has been correlated with lower rates of type two diabetes and is filled with antioxidants. But coffee drinks are a different story. While it is possible to order healthier drinks, many of the gourmet drinks, including at popular franchises like Starbucks, are loaded with artificial ingredients and sugar. A 16 ounce can of Coca Cola contains 190 calories and 52 grams of sugar, double the recommended daily maximum intake of 25 grams of sugar a day for most adults. But gourmet coffee drinks are actually arguably worse. 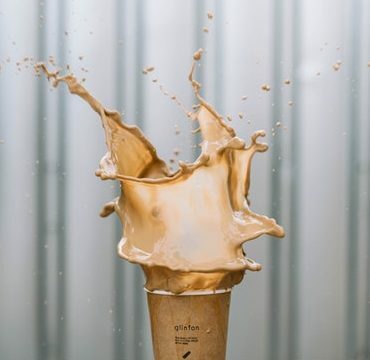 A 16oz Grande Caramel Brulee Frappuccino at Starbucks contains 430 calories and an astounding 62 grams of sugar–and many drinks are not far off, just as bad or worse. Excessive sugar consumption has been linked to an increased risk for heart disease, skin problems, diabetes, certain cancers, poor dental and kidney health, and even puts you at a greater risk for some mental health concerns, such as depression. But that doesn’t mean you can’t enjoy your coffee or even a sweet gourmet drink. Moderation is key. But even better? You may just be able to enjoy gourmet coffee drinks for a fraction of the cost and sugar if you know the best recipes to make at home. The Ninja Coffee Bar is a new and innovative brewing system from one of the best popular coffee maker brands on the mass commercial market. The system allows you to prepare both hot and cold coffee and blended drinks in a single machine. Most models also allow you to select different size brews and are programmed to develop coffee at the right temperature, level of saturation, and proper bloom times. The coffee bar comes with a removable water reservoir, removable brew baskets, and a smart scoop for easy measuring. The complete system allows you to make tea, coffee, and cold brews. Models may also include additional features, such as a frother and an easy to clean the filter. Even better: it’s pod free. There have been some concerns from environmental groups that coffee pods generate plastic waste, in large quantities, that is detrimental to the environment. While some companies are now working towards biodegradable pods, the no pod option is even better. 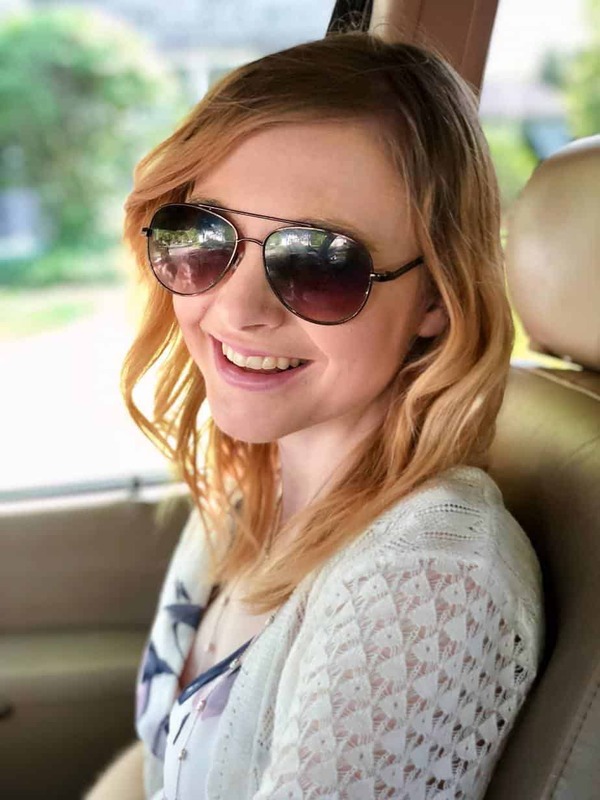 On Amazon, one model averages a 3.8-star rating, who loved the quality of the coffee produced and touted the coffee bar’s ability to mimic in house gourmet drinks. Some customers did get some defective models, but Ninja helped replace the units in that case. 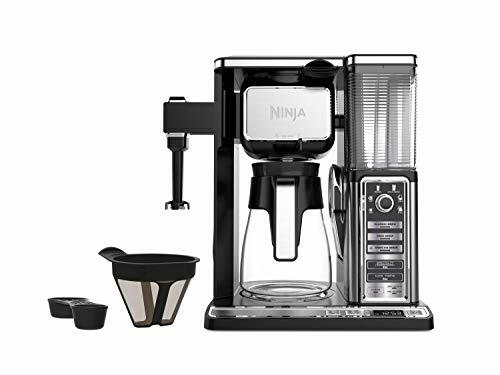 Overall, Ninja Coffee machines offer a way to reproduce gourmet in house coffee drinks at a fraction of the cost, with much of the same appeal. The best Ninja Coffee Bar Recipes–Our Pick: Due to the popularity of the Ninja Coffee Bar itself, the number of recipes is simply astounding. That’s also in part because of the Ninja Coffee Bar’s ability to make cold, hot, and blended brews, along with the frother for that extra gourmet touch. But we’ve sorted through the recipes to pick the 15 best recipes you can try with your new (or old, or yet to be purchased) Ninja machine. We’ve collected a list of recipes with a good deal of variety in terms of purpose and flavors, from breakfast brews to indulgent dessert to refined and simple. Even better? All of these recipes are easy to follow, so you won’t regret skipping the coffee line and making yourself a drink at home. Please note that although some of these recipes suggest you can create them using a stovetop and or blender, the Ninja Coffee Bar is a perfect way to prepare them for an easier and less messy process. Also known as Aqua de Cafe, this recipe comes from Leslie Limon, a food blogger who was raised in Southern California but is now living in Mexico. She grew up drinking cafe con leche, and every once in a while, her grandmother would make her a special treat, and iced coffee with a little extra kick to it. Now, she’s recreated that recipe to remember her childhood, and enjoy the coffee she so loved back then. It’s also a recipe you’d be hard pressed to find at a typical chain coffee house, but it’s surprisingly simple, fresh, and is perfect for any time of the day. Even though it’s made with instant coffee (see this review for the best instant coffee of 2018), the ingredients punch it up a bit to make this a special, lightly sweetened drink. Coffee is pureed, then combined with leftover granules, cinnamon stick, sweetened condensed milk, and just a pinch of sugar, if desired. 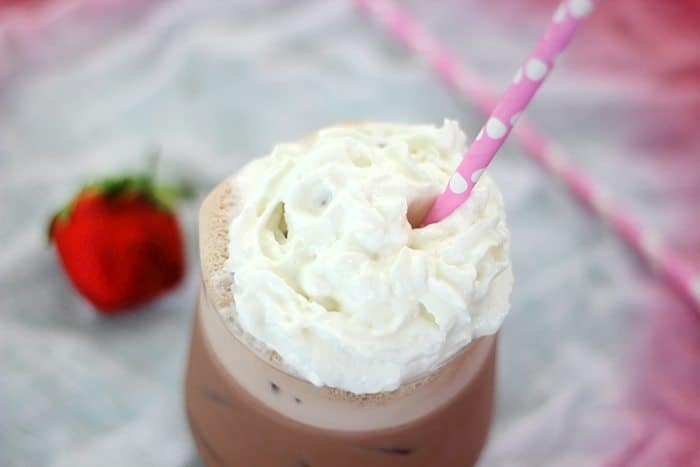 The result is a smooth, creamy, and simple iced drink perfect for a hot summer’s day. Pumpkin spice is all the range in fall, but this recipe adds a sophisticated layer of caramel for an extra indulgent, holiday-worthy treat that you can enjoy all fall and winter long (and who’s to say you can’t have it other times?). The difference between this and Starbuck’s version, besides the price, is that it uses all natural ingredients: in fact, the popular Pumpkin Spice Latte at Starbucks is made from a pumpkin spice “sauce” which is made from pumpkin puree, but the drink also includes preservatives, sulfiting agents, and a whopping 50 grams of sugar per 16 ounces. This version from Miss in the Kitchen, a food blog, has fresher ingredients, goes a bit lighter and adds dulce de leche caramel for an extra note of flavor, which you can include or exclude. Spice, not sugar, is the focus here: ground ginger and cinnamon is blended with milk, pumpkin, and ice. You can also make a hot version and top either with just a bit of whipped cream for an extra festive touch. Coffee McAvee, not to be confused with Coffee McAfee from McDonald’s, is a hot brew with a touch of vanilla ice cream for a delightful winter treat. The drink is reminiscent of a float if you subbed soda with hot coffee. Still not convinced? Then maybe this recipe from Allrecipes will convince you. Coffee liqueur and rum make this the quintessential holiday brew, though you could also look for imitation, non-alcoholic versions if you prefer. The buttery and rich flavor notes bring out the deeper aroma of the coffee. The ice cream, if you choose to add it, creates a decadent and creamy touch. The great thing about this recipe is that it is able to be customized to please everyone. Can’t decide between a morning smoothie and a nice cup of coffee, and don’t want to overdo it on the liquids, this is an innovative solution. This recipe, created by Jennifer Baker on Allrecipes, gives you a morning boost not only with caffeine but also a healthy dose of antioxidants and essential vitamins by adding in an entire cup of wild blueberries. Milk and wild blueberries are blended with cold brew coffee for a simple, not too sweet, but very flavoral morning treat. You can add sugar to taste, and though she does use purchased old brew it is possible to create your own. If you do create your own, add a dash of vanilla extract or imitation for that extra lift that makes this drink really stand out. Salted Caramel Affogatos is a more indulgent recipe again, meant to be enjoyed as a dessert or special treat. But like the other recipes we’ve listed before, it adds refinement with less sugar and artificial ingredients and additives. Described as an ice cream float with hot coffee, this is similar to the McAvee recipe but instead adds a classic salted caramel flavor. Blogger Carla of Homemade in the Kitchen made this recipe in hopes of replicating the affogatos she used to have while studying abroad in Ireland. While there is nothing especially specialized about this recipe, the combination is no doubt delightful, and you can sub, or even make your own caramel sauce. 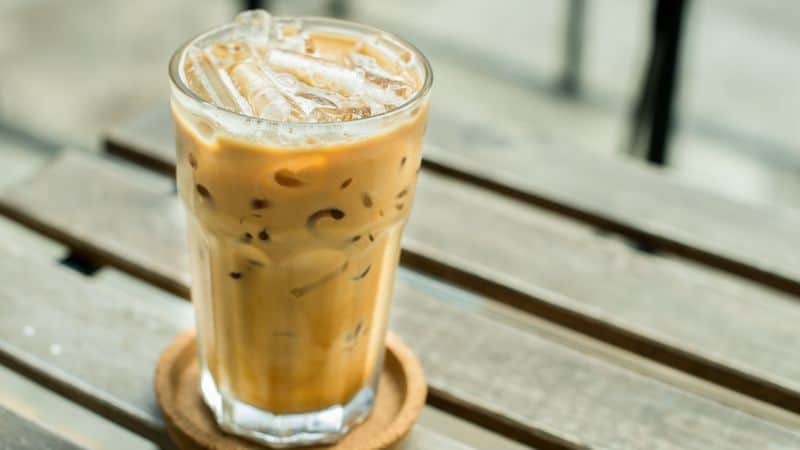 If you’re looking for something simple, cool and refreshing but are tired of plain iced coffee, this recipe is worth taking a look at. Horchata is actually a reference to a Latin plant-based milk. While we will include a list of plant-based/ milk alternative coffee drinks for Ninja Coffee Bar, later on, we included this in our best list anyway simply because it’s so unique, but still simple and great for anyone who enjoys the taste of coffee–and it actually does use milk as well. Long grain rice is cooked with a cinnamon stick for an authentic Mexican coffee. After it cools and is drained, the rice and cinnamon are processed and combined with milk, cold brew coffee, and sweetened condensed milk. If you want to kick the flavor up even more, add some cayenne pepper flakes for a bit of heat. We included this recipe in our best Ninja Coffee Bar recipes list because it is another great option in replacement of a breakfast smoothie. It’s also more simple than the blueberry version above, and it still packs in nice flavor. Milk, coffee, and strawberry topping are all you need, but we suggest getting some extra nutrients and blending in real strawberries, if at all possible. You can even make your own strawberry topping over the stovetop if you have a little extra time on your hands. While all of these options on this list are arguably healthier than the coffee you’d order at a chain location, this recipe specifically focuses on as little ingredients as possible, takes 5 or fewer minutes to make, and contains no added sugar. Still, it adds sweetness you might be looking for if a plain brew just isn’t doing it for you that day. Frozen bananas are the key to natural sweetness and a unique lift to this recipe. Blended with cold brew coffee, just a touch of milk, and natural vanilla extract, this is a great simple recipe for a busy day, and it works wonderfully with the Ninja Coffee Bar. Best Recipes for Ninja Coffee Bar with Milk Alternatives: Milk alternatives can be useful for making gourmet drinks for anyone who has milk sensitives, is vegan, or simply doesn’t enjoy the taste of milk. But some milk alternatives work better than others for different purposes. Even with the technology of the hot and cold brewing system of Ninja Coffee Bar, milk alternatives with very little fat, such as soy and almond milk, can curdle and are normally better for cold brew/iced recipes, like other milk alternatives, such as almond milk, can easily be used in a rich hot coffee. There are ways to prevent curdling, but you have to be careful. Turmeric has become popular lately and is appearing in countless recipes. It’s especially popular within health-conscious communities as a powerhouse of benefits, including treating conditions are far ranging as digestive issues, arthritis, joint pain, high cholesterol, jaundice, and even skin inflammation. It also happens to add a burst of flavor and color, and that’s no different in this recipe. While the directions suggest combining ingredients in a saucepan on the stove, you can just as easily used the hot system on the Ninja Coffee Bar machine. 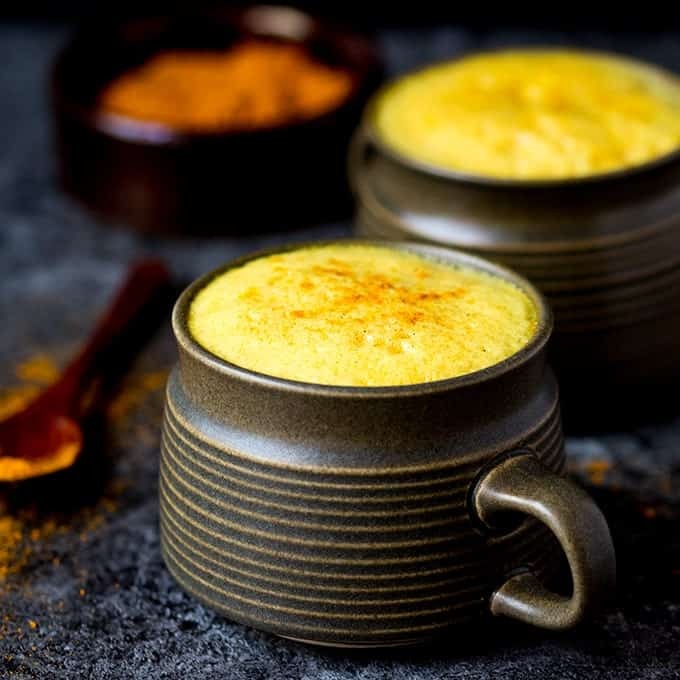 You can sub full-fat milk, but the coconut milk is a great compliment for the turmeric, ginger, and cinnamon spice blend. Just a touch of Stevia highlights to spices. Almond milk is also a very on-trend thing in the world of food and beverage. It has a smooth, silky and slightly nutty taste, with a texture similar to skim milk, and it’s a great complement for sweeter or even some savory dishes. In fact, almond milk has surpassed soy milk consumption and now accounts for well over half of all plant-based milk sales. 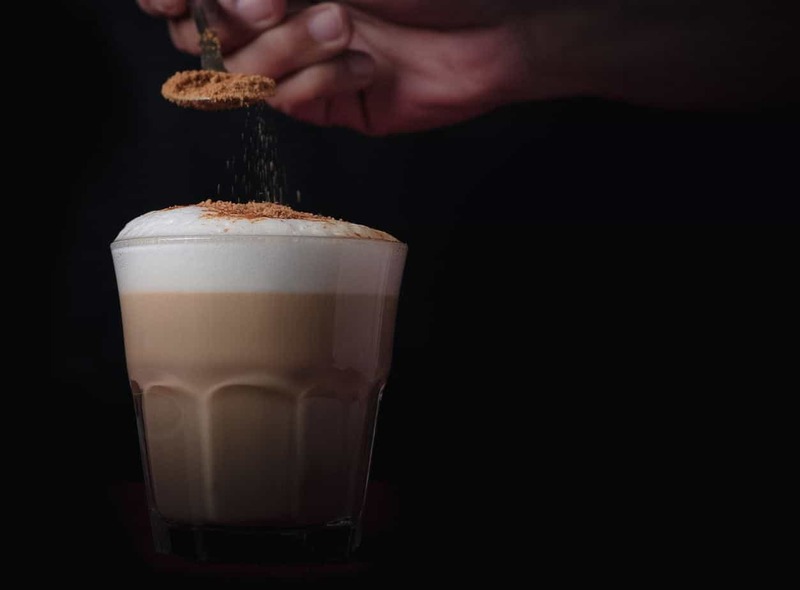 This very quick recipe is indeed a simple latte, but it makes it on our best recipe list because it takes advantage of Ninja’s cold brew system, and almond milk’s nutty taste, by adding splashes of almond and vanilla extract. The hot system allows you to brew the coffee, and also process the cold brew, for a quick process and a simple drink. These simple, no fuss recipes provide options for both hot and cold brews. The hot variety adds cinnamon and a touch of honey with soy creamer for a simple but great option for any time. 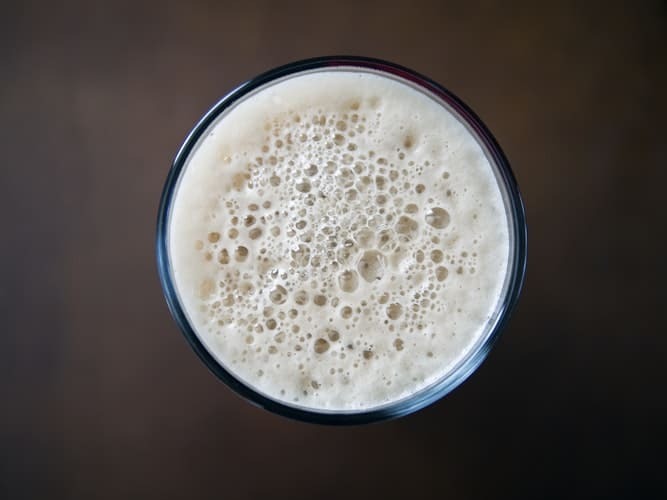 The cold variety is more heavily soy milk based and is brewed with cinnamon, a touch of molasses, vanilla extract, and just a pinch of unsweetened cocoa powder for an extra touch. These simple recipes work great in a Ninja Coffee Bar and can be made in small or large batches, and the cold kind could even be made ahead of time for when you need a quick pick me up. The second almond milk recipe on our list, this recipe has all of the delights of a cappuccino, is simple to make, and easily fits well in our list of best recipes. The recipe is also paleo and vegan and does not rely on heavily sweetened syrups for taste. If you have the Ninja Coffee Bar with the frother, it adds an extra special note. The author of the recipe also mentions that you can sub comparable milk alternatives, such as soy and coconut milk if you’d milk. Shots espresso or strong coffee are combined with frothed almond milk, a sprinkle of cinnamon, and a touch of non-caloric sweetener. The result is not only tasty but also delightful in terms of presentation. While these are the recipes that make of list of best recipes for a Ninja Coffee Bar, the Ninja Coffee Bar allows you, with a complex hot and cold brew system and frother, to create countless gourmet coffee drinks that are both healthier are more affordable than coffee drinks you could get when ordering out. Previous Post: « The Volcanica Coffee Company Review: Is it Worth the Hype?